During the induction process we identify which inductees will be using plant and those that will be allowed to use mobile phones in site safety zones. 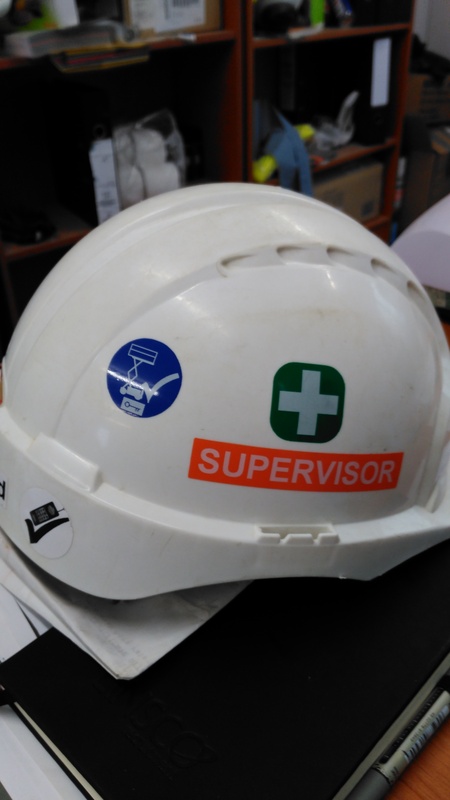 As sites normally have in excess of 150-200 people it is difficult to monitor or even remember who has been granted permission for these activities so we use helmet stickers as a visual indicator. A brief look at an operative using a MEWP will indicate if he is IPAF trained by the wearing of a MEWP authorisation sticker or a supervisor using a phone will have a mobile approved sticker. We have several stickers for various items, and this helps reduce the unauthorised use of phones and plant on site and has proved very effective.